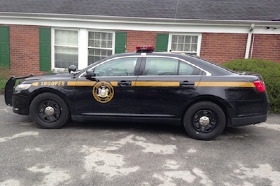 Each year, the Nassau County Traffic and Parking Violations Agency (TPVA) handles thousands of tickets issued throughout the Towns and Villages of Nassau County New York. This mega court has the power to preside over cases written under the Vehicle Traffic Law and its related sections. While the local and can District Courts can maintain jurisdiction over these cases, many courts have deferred jurisdiction to the TPVA. The majority of moving violations adjudicated in the TPVA are issued under Vehicle Traffic Law section 1180. This is the main body of law by which speeding tickets are issued. Our Nassau County speeding ticket lawyers have helped thousands of drivers save money, time, and points on their license. Our lead traffic attorney is a former prosecutor with a keen understanding of the traffic laws. His insight can make all the difference in the success of your case. Our law firm has excelled at getting tickets either dismissed or reduced. We have gained a superb reputation among our peers and clients. Give us a call to schedule your confidential consultation. We can be reached at 800-893-9645. Where Is The TVPA Located? The court is located at 16 Cooper Street in Hempstead, New York. Its postal zip code is 11550. The TVPA has a morning and afternoon session. It also holds a night court sessions once a month. Night court is held on the second Wednesday of every month. If you received a notice to appear in court, it would be advantageous to bring it to court. If you are unaware of what to do, showing it to the court officer may help them instruct you where to go. The TPVA is a court with real judges. It is important to dress neatly and treat the court with respect. Make sure you bring your driver’s license. When you arrive to court, you may be asked to surrender your driver’s license as a means to call your case. Bring money. If your court case is resolved with a plea of guilty, you will be instructed to pay a fine. Not every major credit card is accepted. In particular, the court does not accept American Express. Bring supporting documents. At the pre-trial conference, you will have an opportunity to meet with a prosecutor. At the conference, you can briefly present supporting documents to help your case. Some supporting documents may include proof of insurance, proof of registration, and proof of inspection. Once you’ve arrived to court, you will be instructed to walk through a magnetometer. Food and beverages will not be allowed in court. The officer will instruct you to go to either the courtroom or clerk’s window. Once you arrive in the court, your case will eventually be called by a prosecutor. You will have an opportunity to meet with the prosecutor and discuss the merits of your case in greater detail. The prosecutor may tender you a reduction to your charge to facilitate a resolution. This is called a plea bargain. If your case can be resolved with a plea bargain, you will be instructed to wait until one of the presiding justices are available to hear your case. Remember, there is a stenographer in the courtroom and everything you say will be recorded. It is important to answer every question with a verbal response. The court reporter cannot memorialize hand gestures or head nods. When you meet with the judge, a brief allocution will take place and a fine will be imposed. The fine is expected to be paid the same day. The court has the power to extend a driver’s time to pay but it can come with an additional fee. This webpage could not discuss every possible aspect of the TPVA and Part 2 will have a further discussion on trial tactics and other interesting aspects of this court.